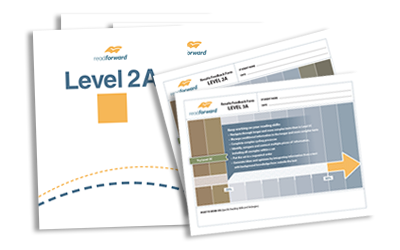 Read Forward is a series of tests that can be used to assess changes in reading over time. Read Forward is aligned with the Alberta Reading Benchmarks. 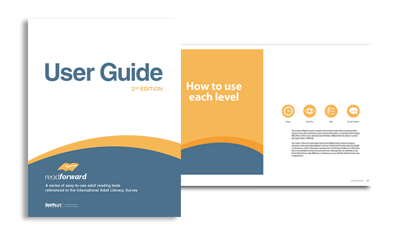 Start with the User Guide to learn how to use the resource. 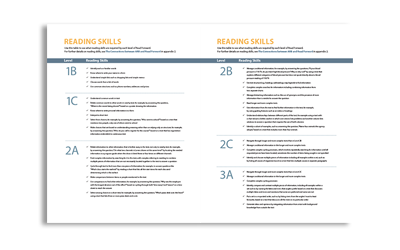 Refer to this helpful table to learn about the Reading Skills referenced within each of the 6 reading skills levels. 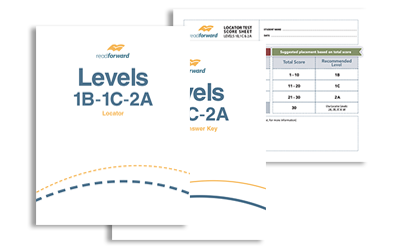 Assess reading skills levels with locator tests, includes answer keys and score sheets. Test reading skills and use feedback forms to discuss reading progress and strategies with the learner. 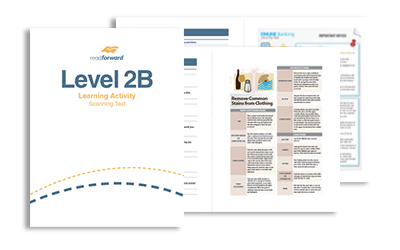 Try supplemental learning activities to enhance specific reading skills.